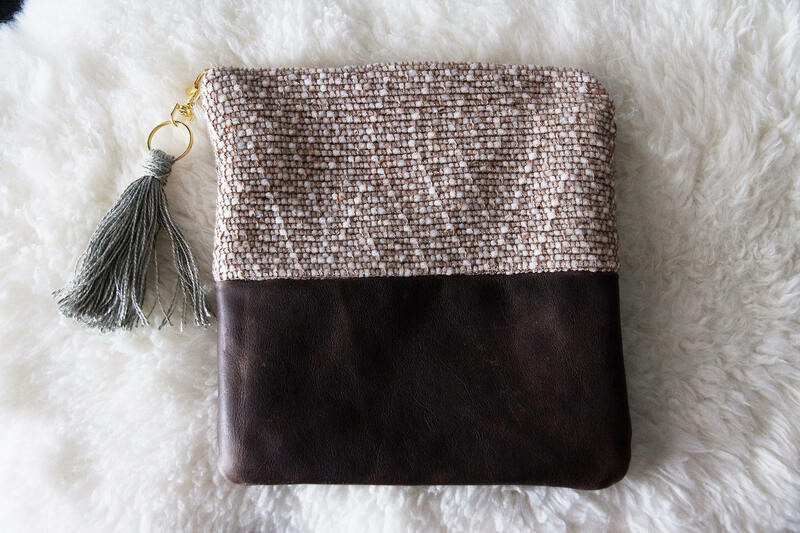 This handwoven clutch is very unique and one of a kind. 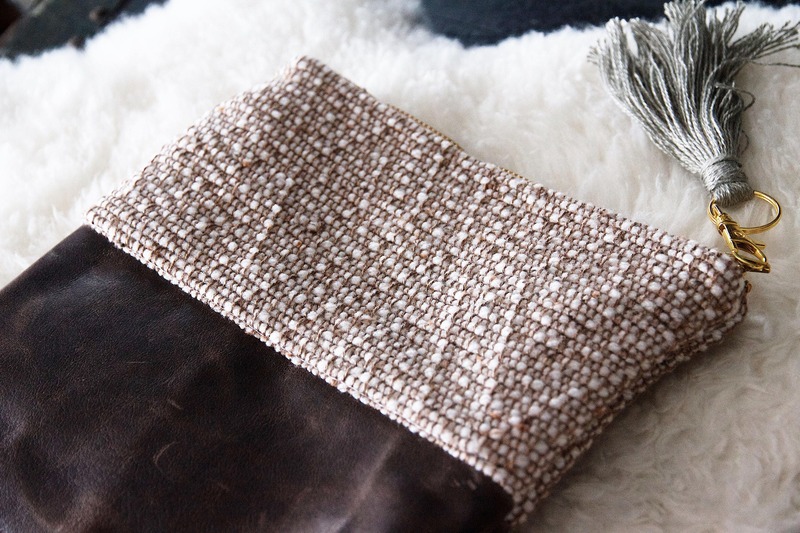 The fabric is handwoven on my Leclerc Floor Loom and the bottom of the clutch is genuine leather. 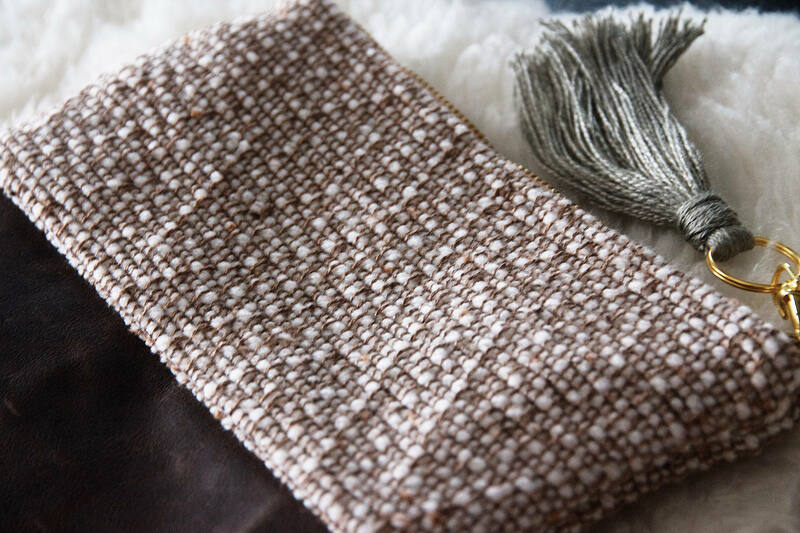 The color of the fabric is cream and brown with a geometric pattern. 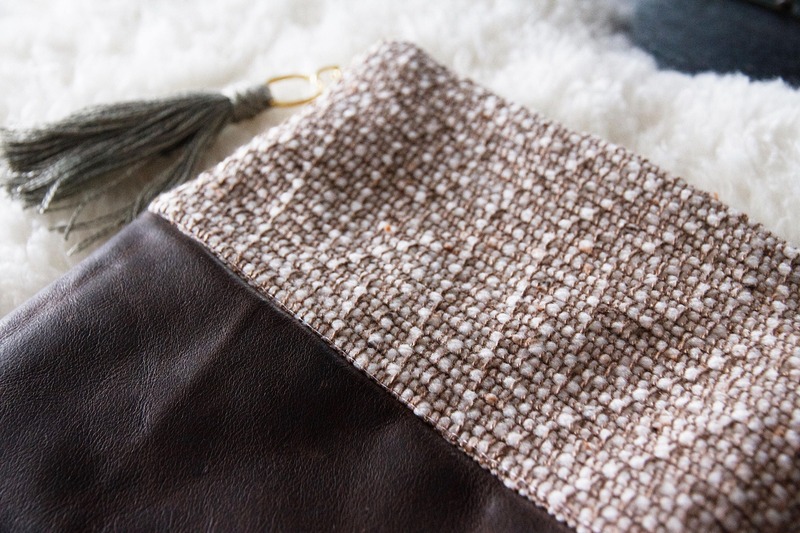 The leather is dark brown. 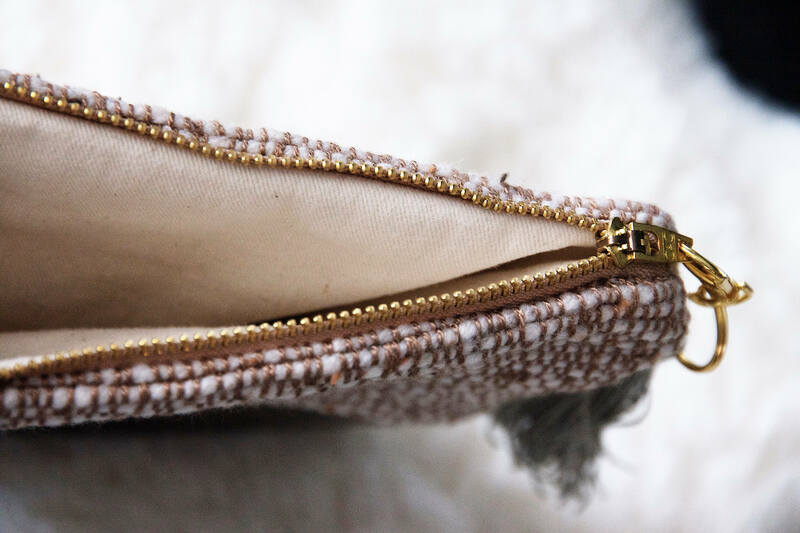 I used a light pink zipper with gold accents. 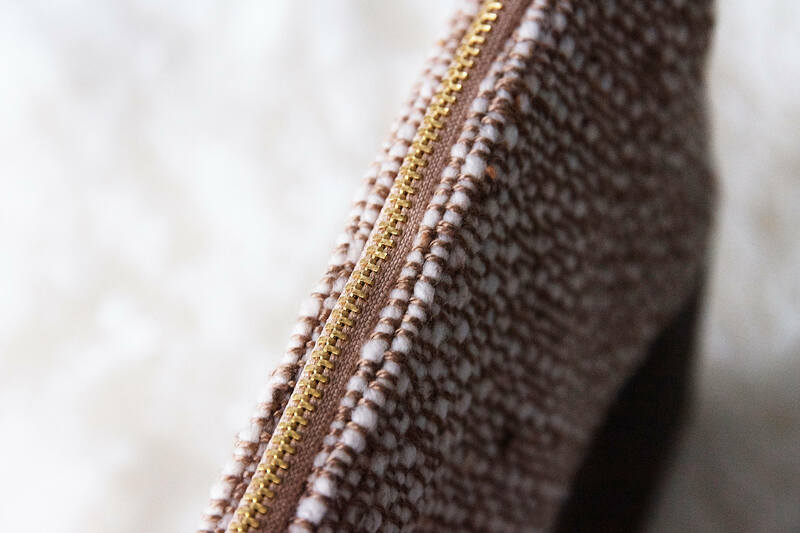 The inside of the clutch is made with a cotton canvas fabric. 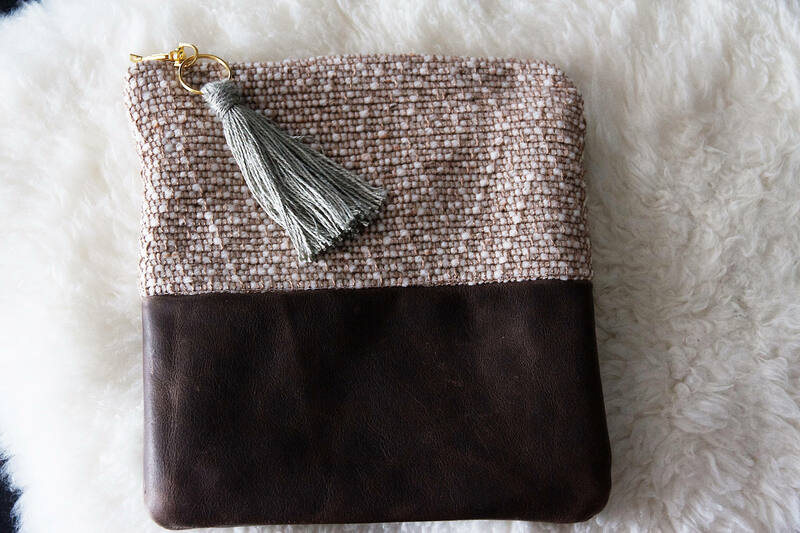 This clutch includes a handmade tassel keychain.